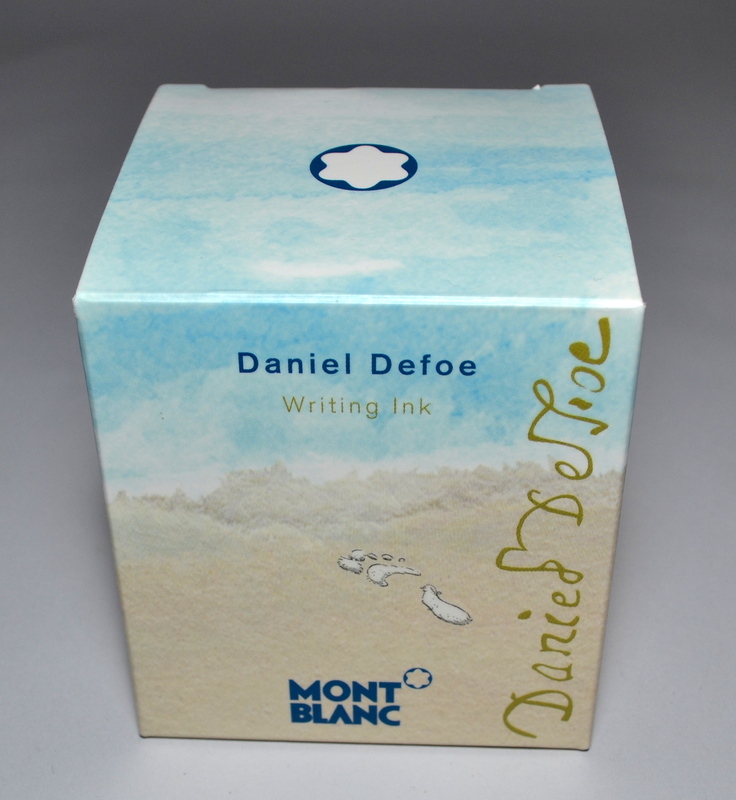 This year’s Montblanc Writer’s Edition celebrates Robinson Crusoe author, Daniel Defoe, with an unfortunately ugly pen. 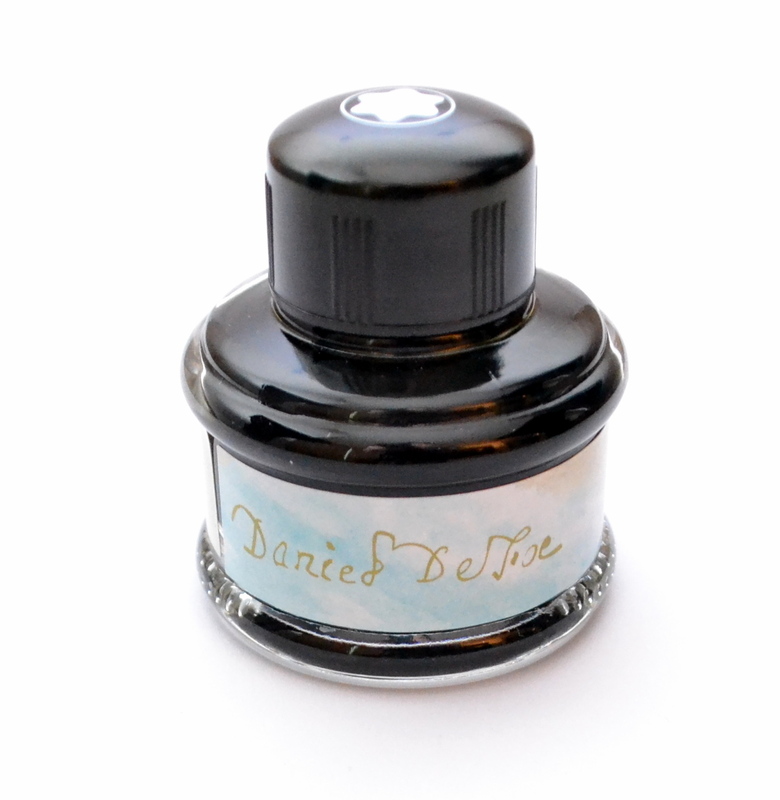 The good news is that the limited edition Daniel Defoe Palm Green ink is beautiful. Notice how much the color of this ink changes from the very wet Geha to the very dry Lamy Stub. 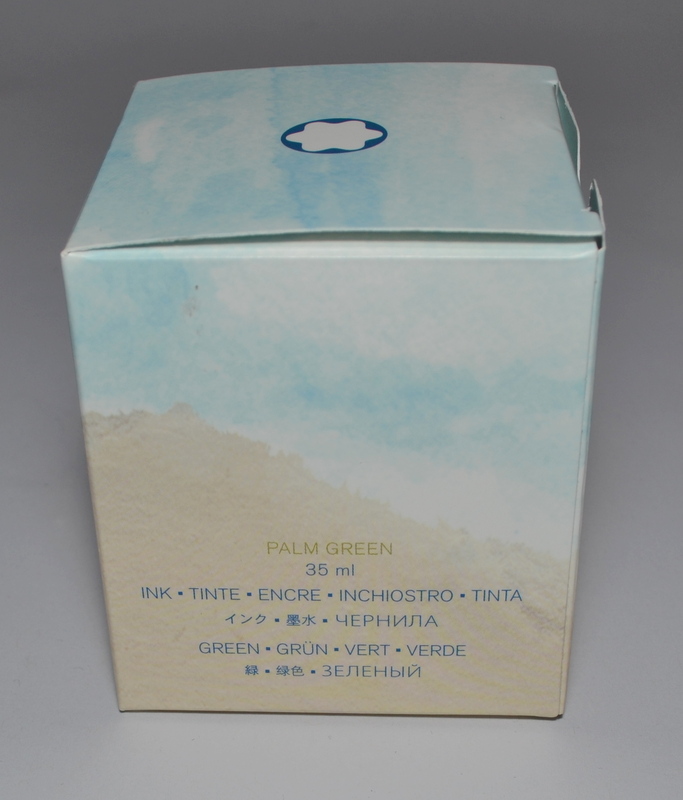 Palm Green is a dark yellowy green ink with great shading. The flow is about average and overall it is a well behaved ink. Dry time is on the longer side (though I was using a wetter pen than normal) and the ink is not waterproof. 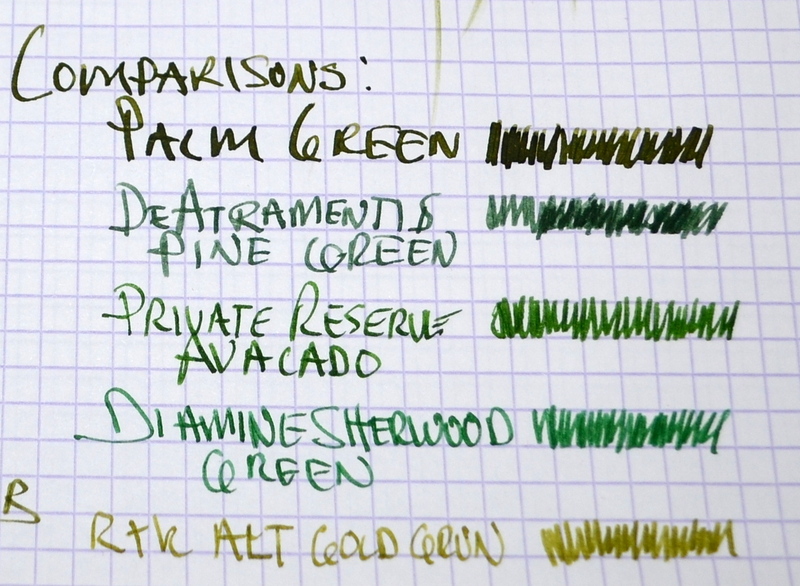 I couldn’t find an ink that I had that was quite like it…its like a darker more green Alt Goldgrün. 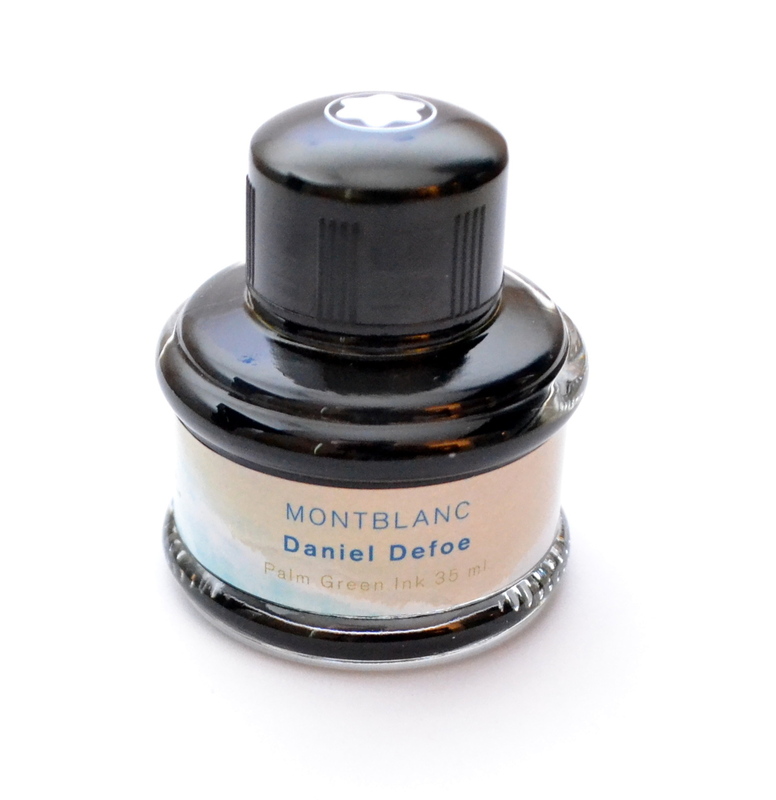 This is my favorite limited edition ink Montblanc has come out with in the last few years. It’s not cheap at $19 per 35ml bottle but it’s such a nice color I think it’s worth it.